We, at Heron Valuation Group, LLC, view commercial property valuation as a PROCESS – a process based on four key building blocks. Each component builds upon another. The COMPETENCY of our appraisers comes from their 45 years of combined EXPERIENCE valuing all types of commercial properties in both urban and rural areas across the country. Because each appraisal assignment is unique in terms of timing and market conditions, our appraisers and staff learn and expand their knowledge daily, gaining valuable experience with each one. Being an appraiser means being COMMITTED to the PROCESS of valuation. Appraisers are naturally curious, and their curiosity is what leads them to ask questions of market participants and to research in detail a subject property. Our comprehensive approach allows us to produce an unbiased, well-supported opinion of value CONSISTENTLY. And when the first three pieces are in place, the result is long-lasting professional RELATIONSHIPS with our clients who TRUST our team to deliver comprehensive appraisal reports on time. Heron Valuation Group, LLC. is a commercial real estate appraisal firm with vast experience handling complex commercial assignments ranging from senior’s housing and healthcare valuation to large tourism-oriented developments. In addition to our appraisal services, we also provide market studies, feasibility studies, and consultation services. 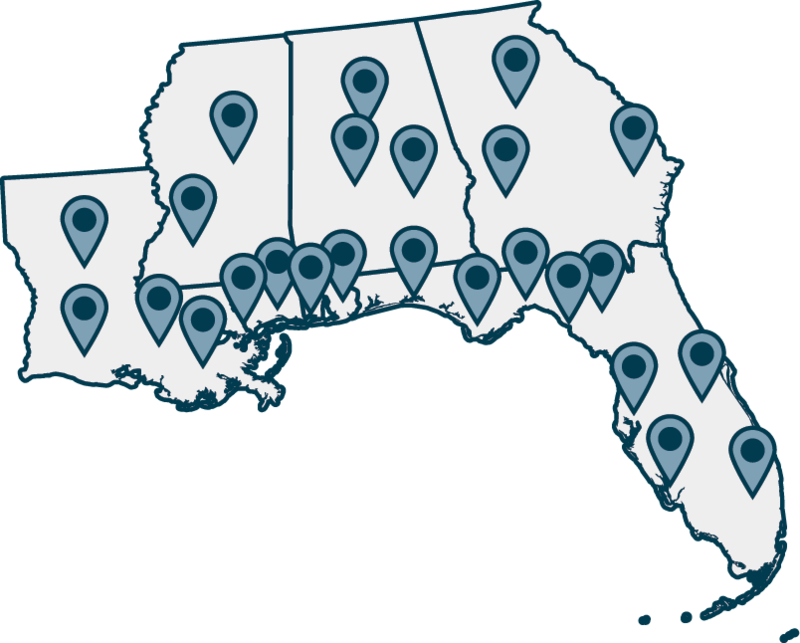 Heron Valuation Group is based in the beautiful, coastal southern United States with offices in both Foley and Daphne, Alabama. We have the privilege to live and work all along the Gulf Coast and through much of the Southeast. EXPERIENCE = LOUISIANA, MISSISSIPPI, ALABAMA, GEORGIA, SOUTH CAROLINA and FLORIDA on general commercial assignments.